The Queen size is the narrow bed-depth version of the Engineer brick. While maintaining the aesthetic appeal of the Engineer size, the Queen weighs 30% less and requires 23% less mortar. Available in 28 colors. ASTM C-216: Solid Brick limited to 25% void. 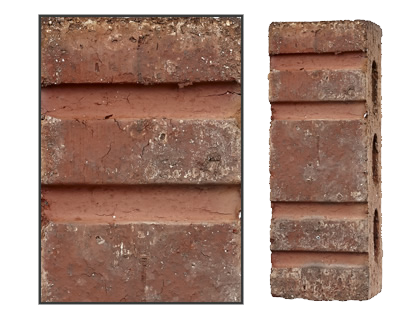 This reduction in void results in less mortar per brick and proven breakage reduction. 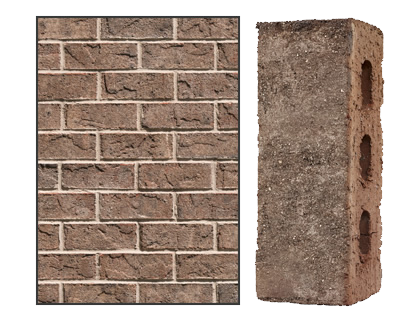 A primary customer benefit of our innovation is the consistency of our brick color and texture from run-to-run. Browse Bricks to find out more about the colors and textures we offer. 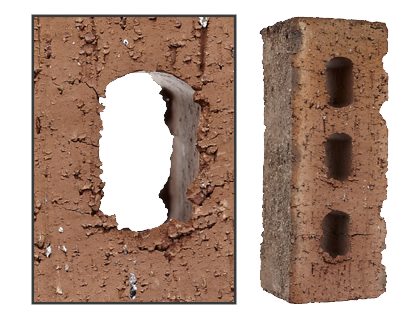 Scoring is valuable because it increases the air flow around the brick once it is placed in the wall. In addition, it reduces the nominal weight of the brick without compromising its integrity; making the mason's job easier, brick-by-brick.